Discover how MultiBrowser makes cross-browser testing easier than ever. Real web browsers. Real testing. No (real) mess. No emulators, no shimmied user agents, no VMs – MultiBrowser's standalone browsers are the real deal in cross-browser testing. Each standalone browser is encapsulated, helping you avoid test lab setup headaches and focus on actual testing. 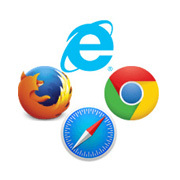 Each browser is encapsulated, enabling you to run multiple web browsers side by side locally on a single PC. Download and run the browsers you want locally, no installation required. Launch your desired URL in multiple standalone or installed browsers in one go with the Browser Launcher. 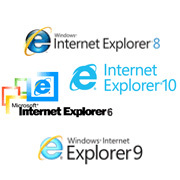 Run different versions of each browser simultaneously including IE 7 - 11, Chrome 40+ and Firefox 35+. Cross-device, cross-browser testing on a single computer. Reduce the need for elaborate device testing labs with MultiBrowser's mobile browser emulators. Be it an iPhone, iPad, Android, perform your mobile browser tests from the comfort of one workstation - yours. Perform proper tests with full support for media queries, device orientation, pixel densities and more. Move on beyond testing to debugging with full-feature Developer Tools, the same as those you've come to love in Google Chrome. 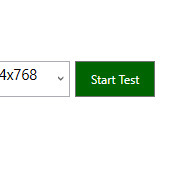 Record your testing session with the click of a button. Need to cover a new device? Simply add it to your custom devices and test right away. Multi-platform site previews in one click. Still changing screen resolution settings to test your responsive web designs (RWD)? 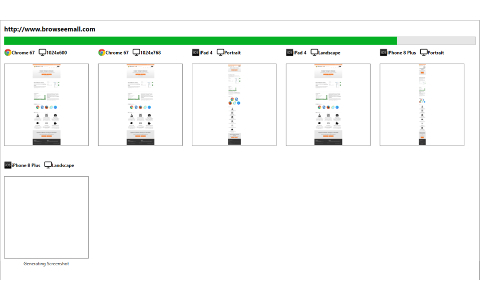 Get MultiBrowser now and test as many platforms as you want, including custom devices, in one go with the Responsive Design Screenshots app. Preview your web site across multiple devices and resolutions from iPhones to desktop computers in a single click. Stay equipped for new platforms with the ability to add custom devices to your tests. Interface/functionality testing of your website without any of the pain. Save the pain of manually performing interface/functionality tests on multiple browsers with MultiBrowser's Automated Functionality Tester. Record and playback tests just like capturing video on your phone camera - it's as simple as that. 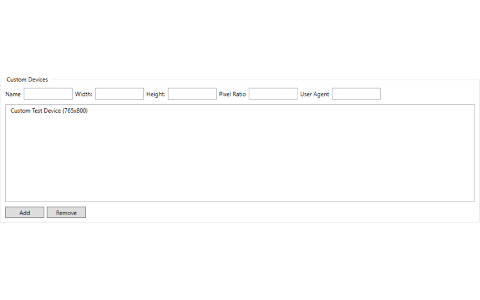 Create functionality tests by simply browsing your web site in the Test Recorders – no programming experience needed. Play your recorded tests on multiple browsers and view the test results any time and in one go. Prefer coding your tests? 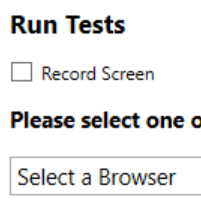 Record them with the MultiBrowser Test Recorder and export them to source code in Java, C#, Python or Ruby. Integrate your automated tests with your build server builds. Easily create video recordings of your browsing session. Need to demonstrate a bug step-by-step? Need to show what a site looks like on a mobile device? 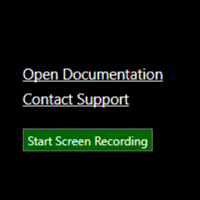 Now you can easily record your screen session with a single click. Create videos from all your automated test executions for later inspections. Record everything on your desktop, including standalone web browsers. Easily illustrate step-by-step where rendering or website bugs were found. 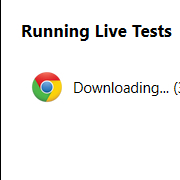 Ready for a new cross-browser testing experience? Enter your email address to start your free trial. ©2019 Position Fixed UG. All rights reserved.